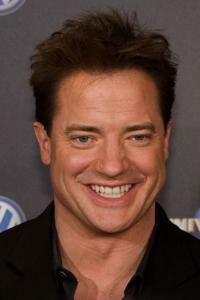 Brendan Fraser (Brendan James Fraser) is an American actor that was born December 3, 1968 in Indianapolis, Indiana, USA. He is 6' 3" (1.91 m), speaks fluent French and is born to Canadian parents. His mother, Carol Mary was a sales counselor, and his father, Peter was a journalist. Peter worked for the Government Office of Tourism as a Canadian foreign service officer. He has three older brothers whose names are Kevin, Regan and Sean. Brenden and his family moved a lot while he was growing up. Some of the places they moved to were Ottawa, Eureka, California, Seattle, the Netherlands and Switzerland. His uncle (mother’s brother) George Genereux was the only Canadian to win a gold medal at the 1952 Summer Olympics. He is from Irish, Scottish, German, Czech, and French Canadian ancestry. He lives in Kent, Connecticut and serves on the Board of Directors for FilmAid International. He went to the Upper Canada College, in Toronto which is a boy's boarding school. He went on to graduating from Seattle's Cornish College of the Arts in 1990. He first began acting at a college in New York. His first acting role in a movie was in America's Most Wanted reenactment (1988). His first lead role in a film was in Encino Man (1992). He is recognized by his athletic frame for his height and his resonant voice. Brenden attended a barbecue at Winona Ryder 's house on July 4, 1993 and met actress Afton Smith. He married Afton on September 27, 1998 in the garden at the Bel Air Hotel in Los Angeles. They have three sons. Their son Griffin Arthur was born on September 17, 2002, Holden Fletcher was born on August 16, 2004 and Leland Francis was born on May 2, 2006. He made it public on December 27, 2007 that him and his wife had decided to get a divorce. Brenden filed a petition in court in 2013 stating that $900,000 a year for child support and alimony is too much for him to pay because he cannot afford it. He wanted the court to reduce his annual payment and in return, Afton told the court that he is hiding financial asset.